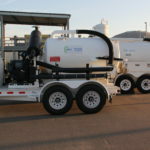 Our scope of work entails environmental services for the management of hazardous materials/hazardous waste and industrial waste/oily waste treatment services in support of naval operations in the greater San Diego metropolitan area. The waste that we manage and treat is classified as Resource Conservation Recovery Act (RCRA) hazardous waste; state regulated industrial and petroleum-contaminated waste, bilge water, and non-hazardous industrial waste; and recovering oil for offsite reclamation. NES operates and maintains one Industrial Waste Treatment Facility and four Bilge and Oily Waste Treatment Facilities for the Navy at four Naval Bases in the San Diego Metro Area. Area. The facilities are maintained and operated by NES certified waste water treatment supervisors, operators and mechanics. The Industrial Waste and Oily Waste is either transported to the facilities via pipeline or trucked via a government contractor. 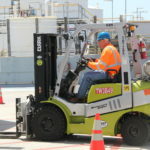 Additionally, NES operates two one-year TSDFs and four 90-day hazardous waste consolidation and storage facilities on four Naval Bases in the San Diego Metro Area. Waste is either delivered to the facilities by Navy customers or picked up by NES Environmental Technicians in NES trucks from customers locations. Noreas Environmental Services, LLC, established in 2017, is a small business providing remediation, natural resources consulting, and construction management to government and private sector clients in California and adjoining states. © 2018 Construction WordPress theme by Templatic.